That’s right Tracii Guns and Phil Lewis are back together as L.A. Guns! Their new album “The Missing Peace” is set for release on October 13th viaFrontiers Music Srl. Today, the first video for the album’s debut single has been released. Watch the video for “Speed”. which Tracii Guns describes as “A response to the extremely fast paced “I WANT IT NOW!” world we are living in,” HERE. Hard rock aficionados should keep their ears opened for anod to the great Deep Purple’s legendary track “Highway Star” in one of the verses. Digital pre-orders come with an instant download of “Speed”. 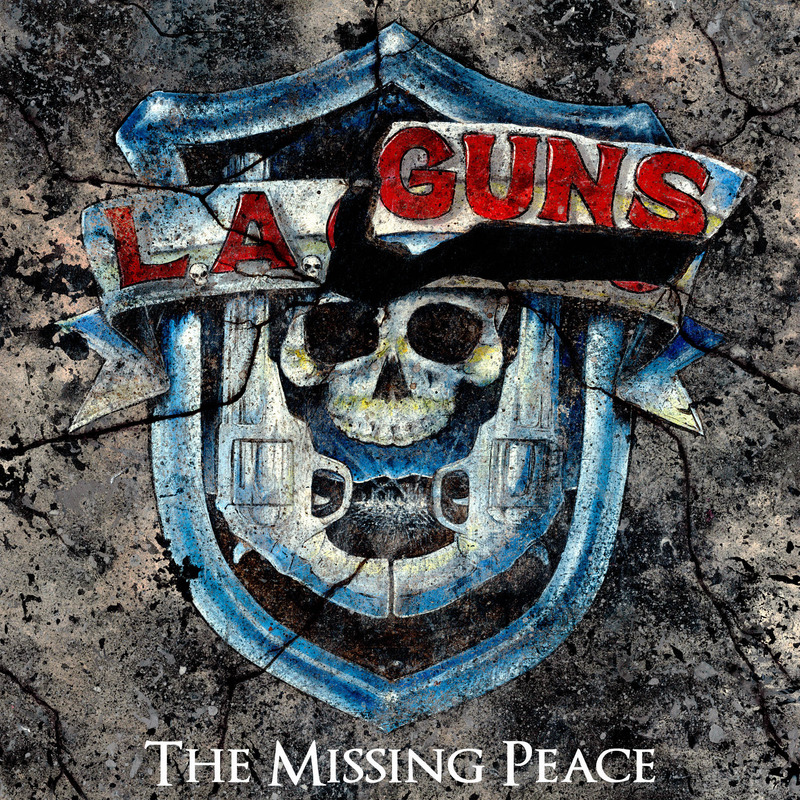 ” ‘The Missing Peace’ is truly an album by definition. It’s a collection of music that I have been working on for about 12 years with various styles of rock music. From blues to classical influences, these are all hard-hitting songs. I am very proud of all of the contributions to this album by other members and writers. L.A. 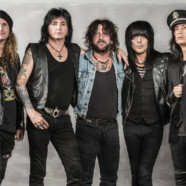 Guns fans are in for a treat,” says Tracii Guns. L.A. Guns never looked like the pretty poster boys that so many of their peers did, but more the band that you would be terrified to bump into an alley as they would likely be carrying switchblades and ready for a fight. But despite having many a song to back up that image, they could also write powerful ballads (see the smash hit, “The Ballad Of Jayne” for Exhibit A of this argument) that showed there was some serious songwriting chops in the band. Said chops are fully on display on “The Missing Peace”, arguably one of the most vital and exciting releases in the band’s storied catalog. The story of how we got from the band’s powerful early years to here has already been well documented, so no need to rehash it. What’s important to know and understand is that the driving force of all those classic L.A. Gunssongs, Tracii and Phil, are back and in a BIG way. Feeling inspired and excited like they did when they first started out, but with many years of wisdom and experience under their belts, “The Missing Peace” will surely please fans of the band’s classic albums (the self-titled debut, “Cocked And Loaded”, and “Hollywood Vampires”) as well as their widely heralded “comeback” albums (“Man In The Moon” and “Waking The Dead”). In fact, this album feels like the next logical step after the critically heralded“Waking The Dead” album and shows a band invigorated and ready to bash you over the head, as well as “wow” you with some epic, slower songs, proving you don’t always needs a semi-truck to run people over.